Hey guys I'm looking into buying this 04 gto. It is really clean over pictures but I have yet to check it out in person. It is slightly modified are these good or decent mods? pacesetter longtubes/x pipe, magnaflow cat back, 228/232 cam 243 heads off of 05 c6 Corvette...I'm new to the ls1 world and any insight you all could throw me would be greatly appreciated. It has around 90k miles they're asking 11,900$ is this reasonable? Also what should I specifically check for when I look at it in person? 11900 seems a bit high for the mileage and the ls1. paid 15 for my 06 3 years ago with 54k on it. Id look for rear end sag, radius rod bushings, split stitching on the seats. The suspension has several issues stock that can be remedied with after market parts, but be willing to put some money into that area and thats really any of them. Do a search on here there are several threads covering several of the items listed above. I paid $8750 for my 04 about a year ago with 84k mikes. It was super clean too. All it needed was a wax and some new tires. For that price you might as well find a 05-06 because they made many positive changes to that car. I’ve spent a lot of money trying to update mine to a 05-06 when I should have just waited and bought one. That's pretty high you can get 05 06 GTO's for that price. It looks like they are asking a premium for the 2004 only cosmos purple. Not very many of them left, but are you willing to overpay for a specific paint color? well on second thought, that color is super rare. if the car is super clean, might be worth it. 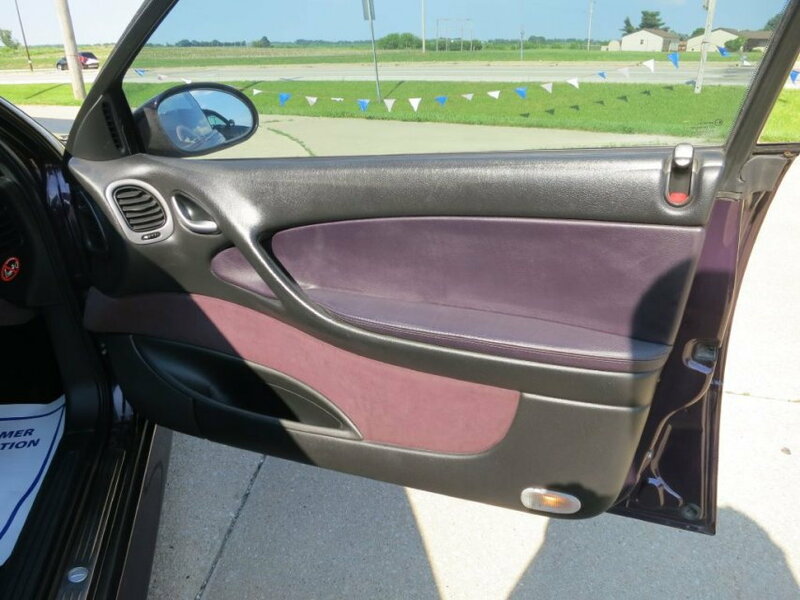 Yah that purple interior is super rare. That is why I bought mine in that color. They already said it was being discontinued before I bought it. Now with under 20,000 miles, I may have a bit of a unicorn. Too bad I am still chasing an electrical issue. I seen one over the weekend at the dragstrip with half the interior gutted out couldn't believe my eyes. I though about removing some interior bits at the dragstrip, but I never had time. ​​​​​​The back seats will save a good 40 pounds or so all said and done. I've got mine down to 3490 without me in it. I decided early on that I was never going to break any records, so I decided to see how fast I could go in the same configuration that I drive on the street. Plus or minus the occasional drag radials to save wear on my street tires. Did Battery Relocation, overcharging at 15v idle!! !